Some movies are universally acclaimed (Jurassic Park, Back to the Future, Raiders of the Lost Ark), while there are some we can all agree are just garbage (X-Men 3: The Last Stand, The Last Airbender, and Josh Trank's Fantastic Four). But then there's a third category: films that inspire both adoration and utter disgust. These are the summer blockbusters that split audiences in half, the modern-day classics that get a whole lot of backlash, or Oscar-winners that are described as both "beloved" and "baffling." While the genres range from sci-fi to romantic, these films all have one thing in common—they're movies everyone either loves or hates. 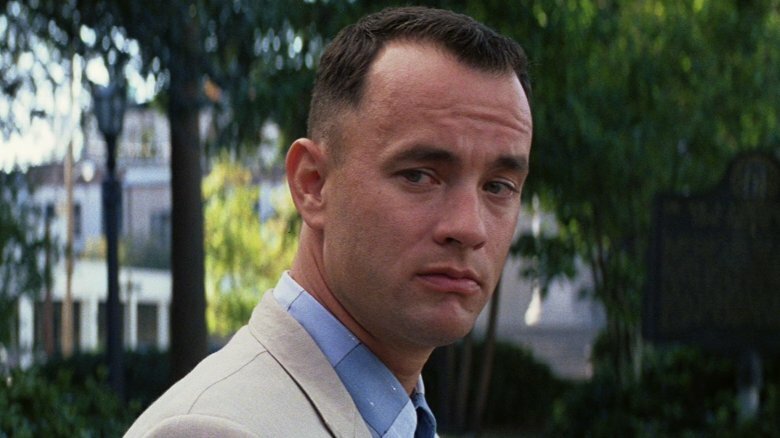 When Forrest Gump hit theaters in 1994, the Robert Zemeckis flick earned $677 million worldwide, not to mention six Academy Awards, including one for best picture. The movie was a pop culture phenomenon, turning Tom Hanks into a bona fide superstar and giving us some iconic lines—"Life is like a box of chocolates," "Run, Forrest, run! "—that are still quoted today. Even now, Gump has an incredibly strong fan base. Need proof? Check out IMDb's list of the top 250 films, as decided by IMDb users. As of this writing, Forrest Gump is sitting pretty at number 12, and over on Rotten Tomatoes, around 1.2 million moviegoers have given this sweet-and-simple film a glowing 95 percent approval rating. Of course, for all the love Gump has gotten over the years, the movie has picked up quite a few haters, most notably when it beat Pulp Fiction at the Academy Awards, ticking off Tarantino fans around the world. After all, it was a big, emotional mainstream movie versus something edgy, indie, and iconoclastic. So naturally, the Hanks film was quickly labeled one of the most controversial Oscar picks of all-time. And then there was the big political debate, with one Republican politician claiming it was one of the best conservative movies of all-time. Others shot back, saying Gump is actually making a mockery of conservative values, and the debate rages on to this day. But for the most part, a majority of Gump critics feel the movie is syrupy, maudlin melodrama with no real message. As for our point of view…well…that's all we have to say about that. 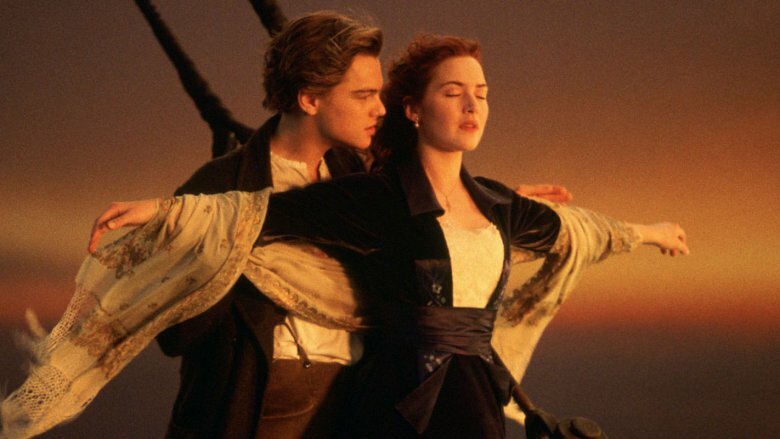 When Titanic sailed into theaters in 1997, this epic tale of relationships and shipwrecks quickly became the highest-grossing film of all time, surpassed only by Avatar in 2009. The movie was a major cultural touchstone, making Leonardo DiCaprio the dreamiest star in Hollywood and inspiring everyone who's ever stepped foot on a boat to run up to the bow and shout either "I'm the king of the world!" or "I'm flying, Jack!" After all, it was a big, beautiful period piece, with impressive costumes and amazing special effects surrounding a tragic story of star-crossed lovers. It touched so many moviegoers that Roger Ebert wrote an entire essay about how he could "hear the warmth in people's voices when they discuss it and see the light in their eyes." But it seems the movie was so popular that it started—as film critic Owen Gleiberman put it—"the rise of hater culture." For every enthusiast, there's a cynic who feels the story is too simple, the movie too cliche, and that "My Heart Will Go On" should only be played for prisoners. (Even Kate Winslet said the song made her feel like vomiting.) Nitpickers have attacked little flaws like Jack's inability to float with Rose on a perfectly buoyant door, and James Cameron's infamous Oscar speech didn't really win him any points with the anti-Titanic crowd. But really, most haters just think the movie is romantic fluff, while the fans think it's romantic perfection. 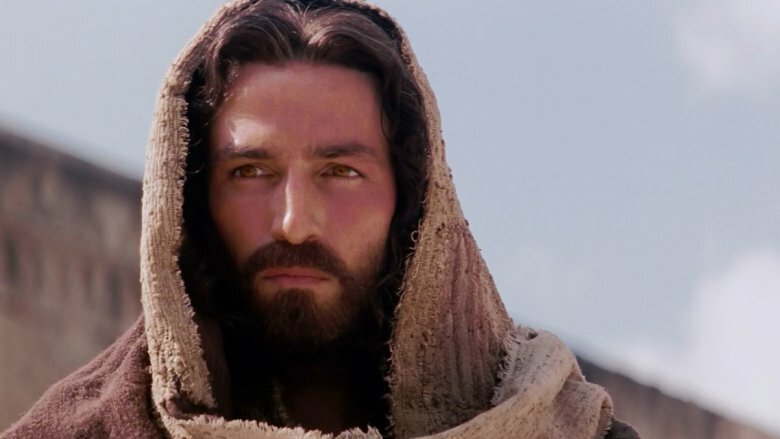 Sure, Deadpool is the highest-grossing R-rated film worldwide, but when it comes to the domestic box office, The Passion of the Christ is still the king of kings. Even though it was a two-hour gorefest, the movie earned $370 million at home, largely thanks to super-passionate Christians. As pointed out by Vox, director Mel Gibson really knew how to market this movie, promoting his project alongside religious leaders like James Dobson, Pat Robertson, and Jerry Falwell. Some evangelical congregations rented theaters for special screenings of the film, while other churches—like the ones run by Joel Osteen and Rick Warren—actually showed the movie in their churches. One Dallas businessman was so passionate about The Passion that he gave away 6,000 tickets for free. But not everyone was feeling the love of Christ. Many people saw the movie as anti-Semitic, portraying the Roman elites as reasonable but the Jews as an evil mob dead-set on murder. As the Anti-Defamation League put it, "The Roman governor, Pontius Pilate, constantly expresses his reticence to harm Jesus. The Jews, on the other hand, are depicted as bloodthirsty." It didn't help matters any that Gibson wouldn't use Jewish scholars to assist with historical accuracy. So while the movie earned a lot of points with churches, it didn't win any fans in the Jewish community. (Things only got worse when, a few years later, Gibson made headlines for making anti-Semitic remarks.) Plus, many were shocked at the film's extreme violence, as Gibson had turned the Gospels into the Biblical equivalent of a Saw movie. With all that violence and its contentious take on Christ's last days, it's no wonder audiences either hailed Gibson as a cinematic saint or crucified him for his controversial film. The year 2007 was a pretty awesome one for movies. Audiences were treated to incredible films like There Will Be Blood, Ratatouille, Zodiac, Hot Fuzz, and The Bourne Ultimatum, just to name a few. It was also the year that moviegoers were introduced to Anton Chigurh, one of the most iconic bad guys in movie history. 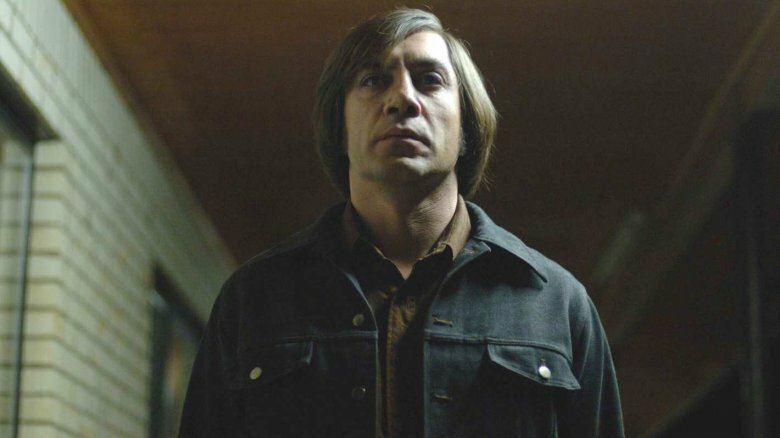 Played to bone-chilling perfection by Javier Bardem, Chigurh was the coin-tossing antagonist of No Country for Old Men, a movie that won four Academy Awards, including one for best picture. It was widely hailed as one of the Coens' best movies, it sits at 161 on IMDb's top 250, and according to BBC, it's the tenth-greatest film of the 21st century, beating out movies like The Dark Knight and Pan's Labyrinth. But for all that praise, there are a lot of people who can't get past that ending. The hero dies, the villain gets away, and after Tommy Lee Jones tells us about his mysterious dream, the movie just cuts to black. That's it. If you're expecting a shoot-out or a traditional finale, then it's one of the most infuriating movie endings of all-time. In a piece for Slashfilm, Joshua Meyer writes that, when the film ended, "I still remember hearing the lady in front of me at the local indie theater jeer 'That's it? Boo!' as the closing credits rolled." Even leading man Josh Brolin knew the ending was going to tick people off. As he explained to MTV, "I love that people are talking about the movie. I love that people leave the movie saying, 'I hate the ending. I was so pissed.' Good, it was supposed to piss you off." Christopher Nolan's Dark Knight trilogy is still one of the very best superhero series, and its second installment is one of the greatest films of the 21st century. But while everyone loved the sequel and its epic showdown between Batman and the Joker, the final film of the franchise was way more controversial. Released in 2012, The Dark Knight Rises was surrounded by a whole lot of hype, and Christopher Nolan fanboys were defending the film before it even hit theaters. When film critic Marshall Fine posted the first negative review on Rotten Tomatoes, he was attacked by so many online vigilantes that his website crashed. Things got so tense over on Rotten Tomatoes that the site closed down the comments on the Dark Knight Rises page—a first in the website's history. Even today, the movie prompts a spirited defense from its supporters, but it also provokes just as much anger from disappointed Bat-fans. People have picked the movie apart for alleged plot holes and logical inconsistencies—like that infamous scene with the burning Bat-signal on the bridge—and many moviegoers were upset with the movie's happy ending, where Bruce Wayne and Selina Kyle leave Gotham for a European excursion. Some on the political left thought the movie was a critique of the Occupy Wall Street movement, while others on the right suspected Bane was some sort of weird Mitt Romney metaphor, even though the character was created long before the presidential hopeful was a national figure. 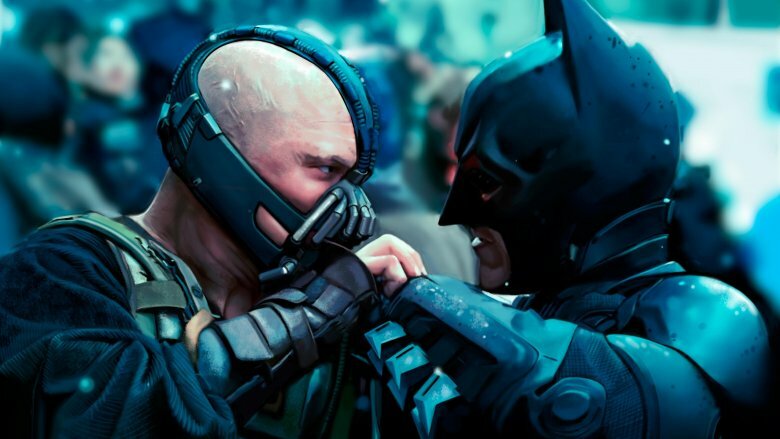 Political controversies aside, The Dark Knight Rises inspired everything from death threats to devastating takedowns, making it Christopher Nolan's most hotly contested movie. 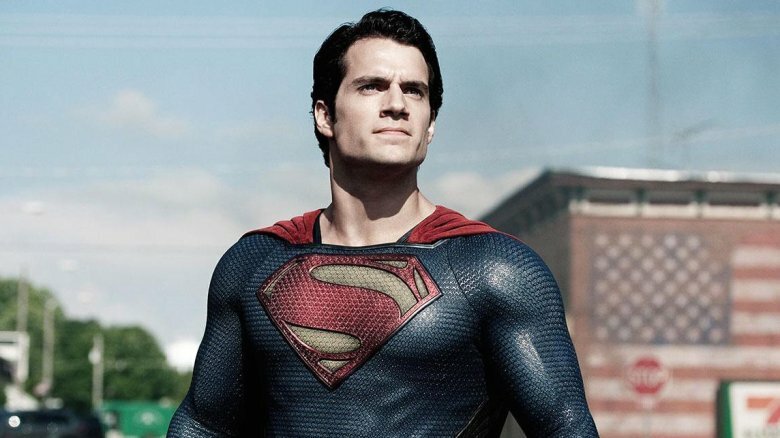 Is Man of Steel the best Superman movie or the worst? Well, that depends whom you ask. While most people agree Wonder Woman is awesome and Dawn of Justice is cinematic kryptonite, folks are a little more divided about the first entry into the DCEU. Zack Snyder's film earned $668 million at the worldwide box office, proving Superfans were willing to shell out their hard-earned cash to watch Henry Cavill destroy, er, save Metropolis. And supporters of Snyder's vision appreciated the director's somber and realistic take on the character, especially in an era of ultra-colorful and quippy Avengers. Clark Kent was suddenly complex and tortured, a new hero for a more cynical age. However, not everyone was ready for such a grim approach to the guy who fights for truth, justice, and the American way. Many fans preferred the old Christopher Reeve version—cheerful and fun—which was more in line with what's happening over in the Marvel Cinematic Universe. Others were appalled to watch Superman casually knock down building after building, killing untold thousands of civilians, in his duel with General Zod. But perhaps the biggest controversy came at the end of the film, when Superman straight-up murders his enemy, which isn't exactly in keeping with Clark Kent's strict code of right and wrong. Even producer Christopher Nolan initially opposed the ending, but the neck snap stayed, sending Superman in a much darker direction. When La La Land danced into theaters, this jazzy musical set toes a-tapping and tears a-flowing, winning over audiences and critics alike. It even won the best picture Oscar for just a few seconds before Moonlight crashed the party. Even so, La La Land tied with Titanic and All About Eve for the most Oscar nominations ever (14), the soundtrack reached the No. 2 spot on the Billboard 200, and the movie crept onto IMDb's top 250, where it's currently higher than classics like Rocky and Donnie Darko. After all, the movie stole hearts before breaking them in two. It was a love letter to Hollywood, an homage to old-timey musicals, and honestly, who doesn't want to watch pretty people sing and dance their way across the silver screen? Well, evidently, a lot of people. For every fan of La La Land, there was a cynic somewhere rolling their eyes, although some might've had good reason to detest Damien Chazelle's big-hearted musical. A lot of people were annoyed that Sebastian (Ryan Gosling), a white man, was portrayed as the savior of jazz, a genre pioneered by black musicians. Others felt Emma Stone's character, Mia, had little to do and was far less complex than her male counterpart. And while the ending worked for some, others found it too heart-wrenching. In other words, La La Land was a movie for the ones who dream, but a whole lot of moviegoers just wanted to wake up from the nightmare. As the director behind films like The Fountain and Requiem for a Dream, Darren Aronofsky knows how to polarize an audience. 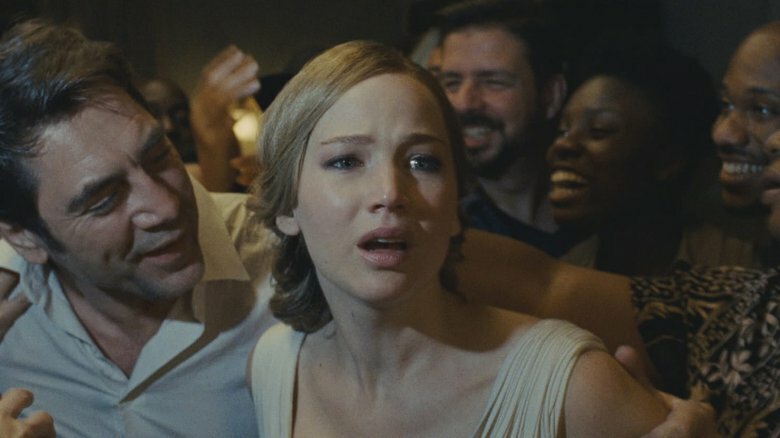 But when it comes to dividing moviegoers down the middle, the man truly topped himself with mother!, a fever dream of a horror film where Jennifer Lawrence finds herself trapped in a never-ending nightmare of bloody floorboards and terrifying strangers with no respect for personal space. It's a movie that feels like Roman Polanski and Luis Bunuel teamed up to write a Bible story, one resulting in absolute anarchy and quite a bit of controversy. Needless to say, mother! is not a movie for everyone. In fact, it might be the very epitome of a "love it or hate it" film. On Rotten Tomatoes, the critical consensus is an uneven 69 percent, while the audience score is split in half with 50 percent. Maybe a lot of mainstream moviegoers were expecting a more traditional horror flick. After all, the last time Jennifer Lawrence made a horror movie, it was 2012's House at the End of the Street. But for people primed for the madness that was about to go down, mother! worked brilliantly as a truly perverted parable. After Rey finally found Luke Skywalker in The Force Awakens, Star Wars fans around the world couldn't wait to see what would happen next. 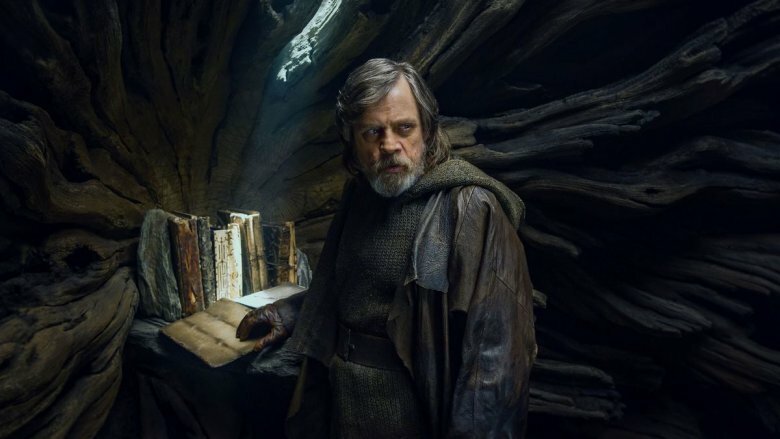 Two years later, Rian Johnson brought The Last Jedi to the big screen, but little did Lucasfilm know that Episode VIII would create one great disturbance in the Force. The movie quickly became one of the best-reviewed films of the franchise, with some critics saying it was the greatest film in the franchise since The Empire Strikes Back. Last Jedi lovers praised the movie for its ambition, saying it subverted expectations, demystified the mythology, and paved a brave new path for the franchise. (Plus, there was that awesome lightsaber fight in Snoke's throne room.) As a result, the movie earned an impressive 91 percent approval on Rotten Tomatoes, making it one of the most acclaimed films of 2017 … as far as film critics went anyway. As for your run-of-the-mill Star Wars fans, The Last Jedi was widely seen as a full-scale attack on the universe created by George Lucas, Lawrence Kasdan, and J.J. Abrams. In sharp contrast with the critics, the audience score on Rotten Tomatoes currently sits at 48 percent, proving the fan base was pretty furious with the way Rian Johnson altered the established order. 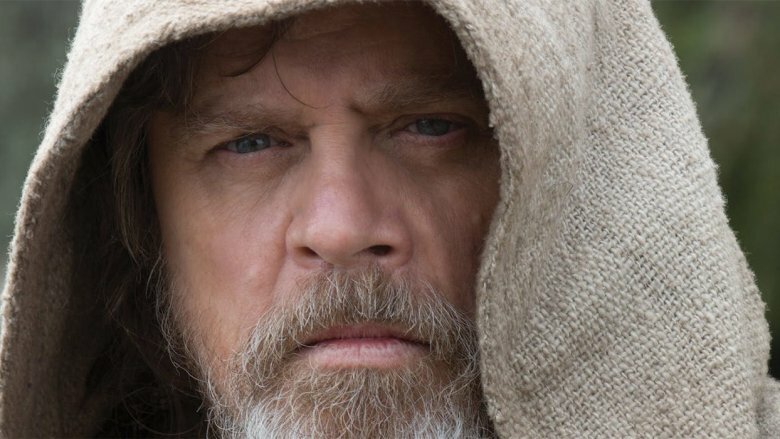 True, a lot of racist and sexist trolls were upset with the film's diverse cast, but perhaps the biggest complaint about The Last Jedi involved Luke Skywalker. People were angry that Luke had turned into a dark and brooding pessimist with a dim view of the Jedi Order. Plus, Rian Johnson disappointed a lot of fans when he finally answered the question of Rey's parentage (and skipped over the mystery of Snoke). Of course, audiences weren't particularly pleased with The Empire Strikes Back when it was first released, so maybe 30 years down the line, future fans will look back on Last Jedi with a little more fondness. 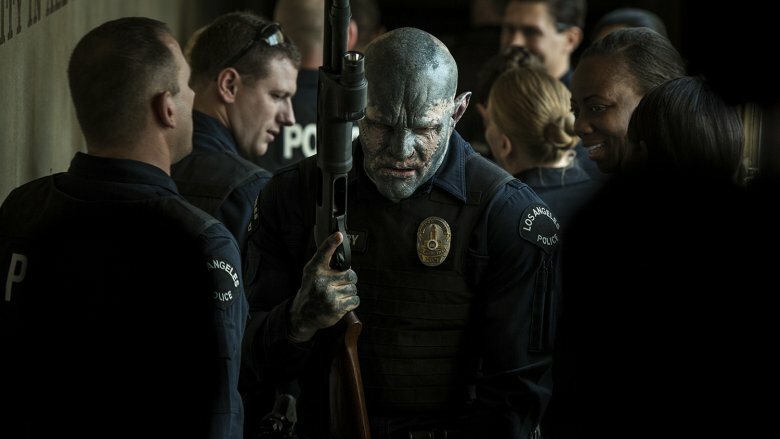 Directed by David Ayer and written by Max Landis, Bright has been described as "Lethal Weapon meets Lord of the Rings," and while that sounds awesome, the results were less than impressive. According to most critics, the Netflix original was a total mess, from its sloppy world-building to cringeworthy lines like, "Fairy lives don't matter." Infuriated critics did their best to curse the film with bad reviews, giving the fantasy thriller an abysmal 27 percent approval rating on Rotten Tomatoes. Sure, the movie starred the always-charismatic Will Smith, featured Noomi Rapace as a badass elf, and had a centaur cop running around beating up orcs, but the cool elements scattered throughout the film couldn't charm the hoard of angry cinephiles. While critics were busy hating on Bright, it seems the average moviegoer thought the buddy cop flick was pure magic. The audience approval rating on Rotten Tomatoes currently sits at 85 percent, and according to Nielsen stats, around 11 million Americans watched Bright on its opening weekend (and that's only counting the people watching Netflix on their TVs). Netflix president Reed Hasting said Bright was one of the site's "most viewed original titles ever" and claimed that "critics are pretty disconnected from the mass appeal." It seems the $90 million production budget was a wise investment because just days after the premiere, Netflix announced it was working on a sequel, and chances are good that Bright 2 will once again pit the high-and-mighty elf critics against the lowly orc audiences.